Авторы: Chiappa E. M., Cook A. C., Botta G., Silverman N. H.
Whether in fetal or postnatal life, echocardiographic diagnosis is based on moving images. With recent advances in ultrasound systems, storing multiple digital frames and clips with superb image quality has become a reality. These advances have brought innovative applications into the clinical field and can be integrated into powerful multimedia presentations for teaching purposes. Sections of cardiac specimens are usually compared with corresponding sections in echocardiography textbooks. These sections are mainly obtained from isolated hearts, due to ease and speed of acquisition. Nevertheless, sections of the whole body are a better tool with which to understand the relationship between cardiac and extracardiac structures. This understanding is particularly important in fetal echocardiography, where the number of visible structures around the heart is much greater and the approaches to the fetal thorax are more variable. The DVD accompanying the book presents morphological images from tomographic sections of the whole fetal body, as well as high-quality dynamic echocardiographic images of normal fetuses and of some of the most common congenital heart defects. 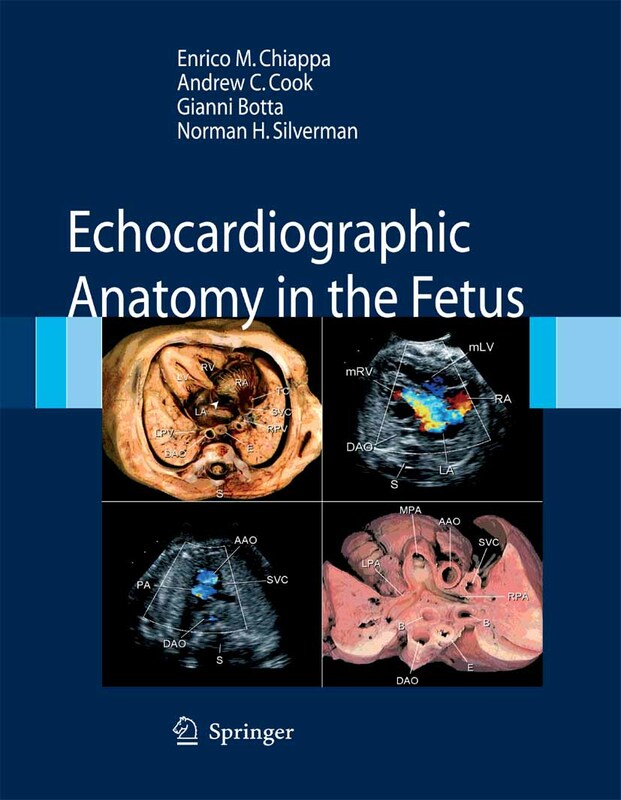 The extraordinary amount of information provided in this work makes this publication a highly useful resource for obstetricians, sonographers, and pediatric cardiologists.